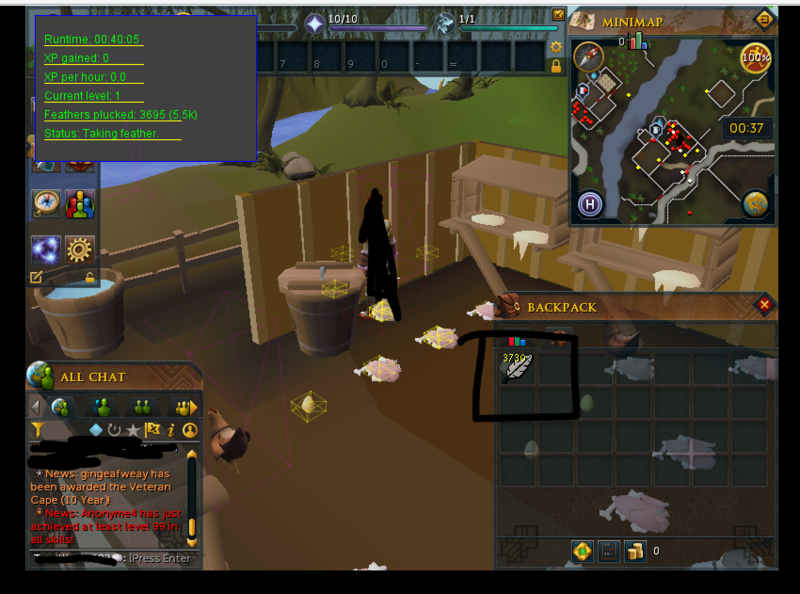 Make sure you have arrows and feathers in your inventory, if your fletching. 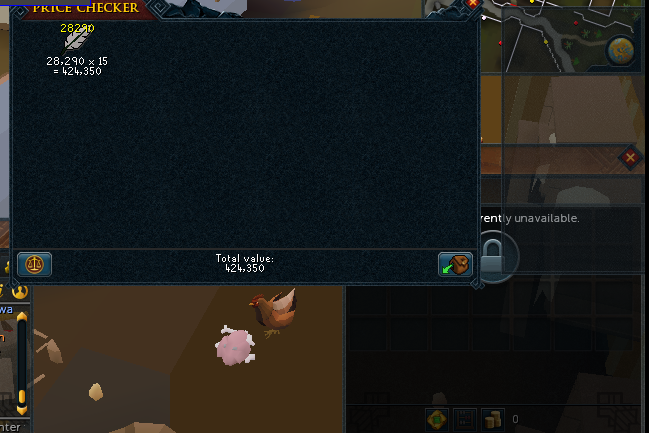 Picks up feathers from both lumbridge farms (East and West). Automatically detects which farm you are at. Fletches headless arrows for profit. Easy and understandable GUI layout (click and go). A popup log (no on-screen paint). This script is great for money making! You can make the bot use a hot key to feather and use space bar to "okay" the process. Much faster, don't even need a mouse. Works just fine for me and it doesn't really need to be any faster. I'm sure you could shave a few seconds off here and there but for the most part its already pretty quick. I tested it with the script paused. You make an extra 2k headless arrows per hour with the keyboard only method. Thanks for the feedback, a lot of those short pauses were added on purpose for an anti pattern, I was just trying to find a balance between too fast and too slow. I'll take a look into adding it as an option, thanks for feedback. It works very well:) Nice script. 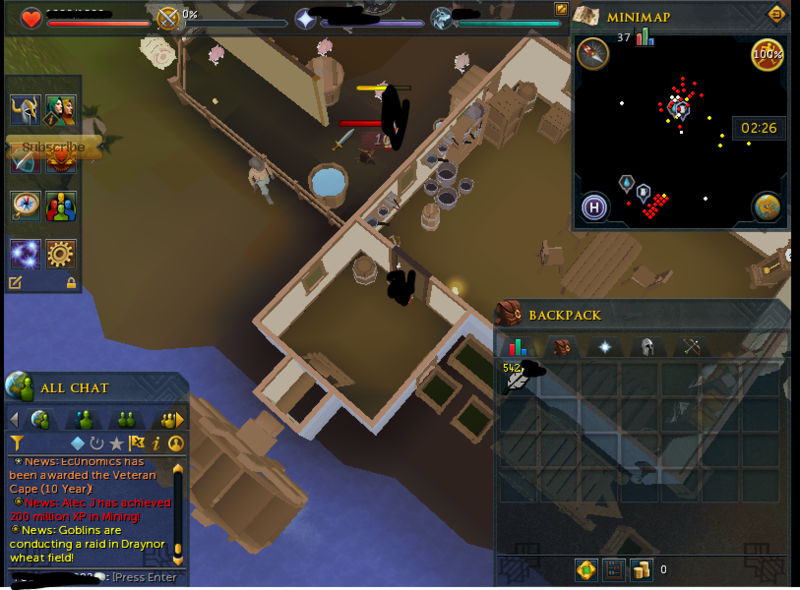 this bot has been broken by the new update to the looting system, it wont loot the feathers! You can configure your loot settings in the options window to get the old looting back and it'll work. Do not use, Jagex can catch this. I've been botting it for 4 hours as of now and no ban. both of my accounts which were both put in ' pick up mode '. Please create a anti-lure that can open the doors if it gets lured? Thank you :) Keep up the great work!